This memory keepsake captures the rare beauty of your baby’s placenta. 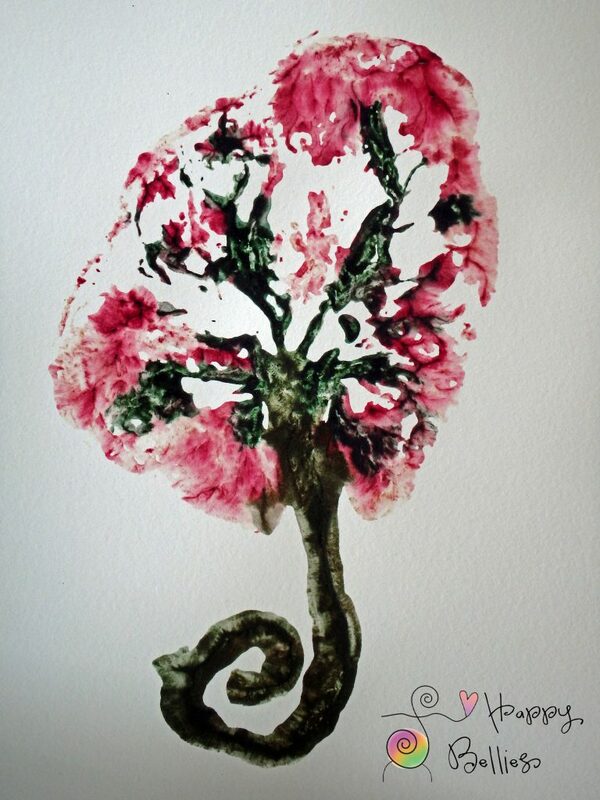 Placenta prints can be framed and displayed in baby’s nursery, as an art piece in your home, or a page in baby’s book. I make them by ‘painting’ the placenta with food-based paints that safely allow the placenta to be encapsulated. The picture to the right was a print that I made for a little girl, so I used more pink. I press the painted placenta to acid-free watercolor paper and you receive (2) 11″ x 15″ placenta prints. Benefits of placenta encapsulation are supported by ongoing research. However, statements on this website have not been evaluated by the FDA and products from these services are not intended to diagnose, treat, cure, or prevent any disease. Please make any decisions in regards to consuming your placenta with your licensed care provider. A Placenta Encapsulation Specialist is not a medical doctor, pharmaceutical representative, holistic practitioner, or herbalist. Women utilizing this service take full responsibility for using their placenta capsules at their own risk.